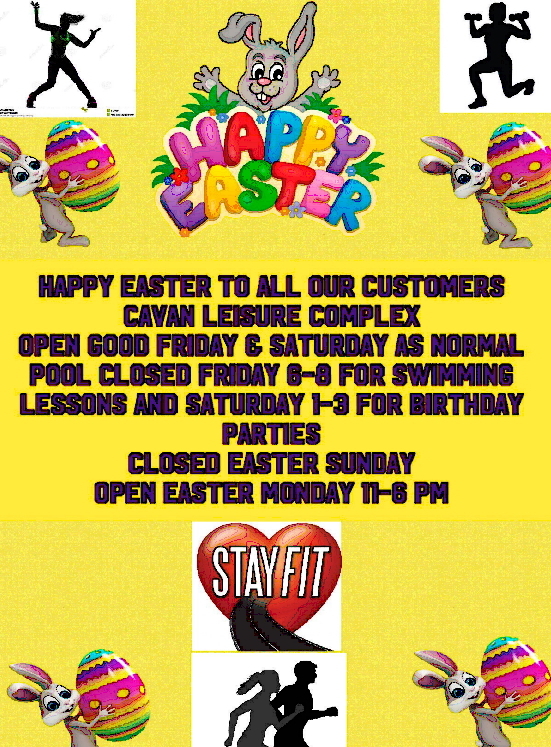 Welcome To Cavan Leisure Centre. Please feel free to navigate around our site. 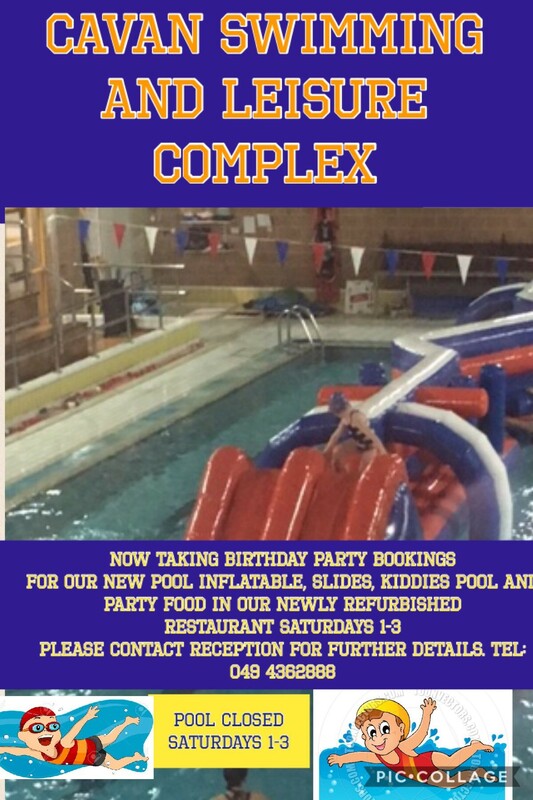 If you need any other information not contained in our new website please do call us on 049 436 2888 and we will be more than happy to guide you in getting the information you require about our facilities. 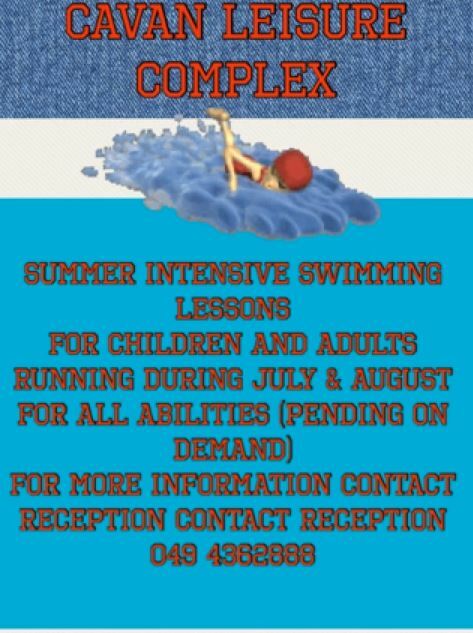 As our Pool opening hours can vary throughout the School year & due to other Events throughout the year we advise you to please phone Reception..
Operating as a local leisure facility since August 1995, Cavan Leisure Centre have a great team of highly efficient and friendly staff, that are both experienced swimming and fitness instructors and they are here to help you improve your current fitness levels. 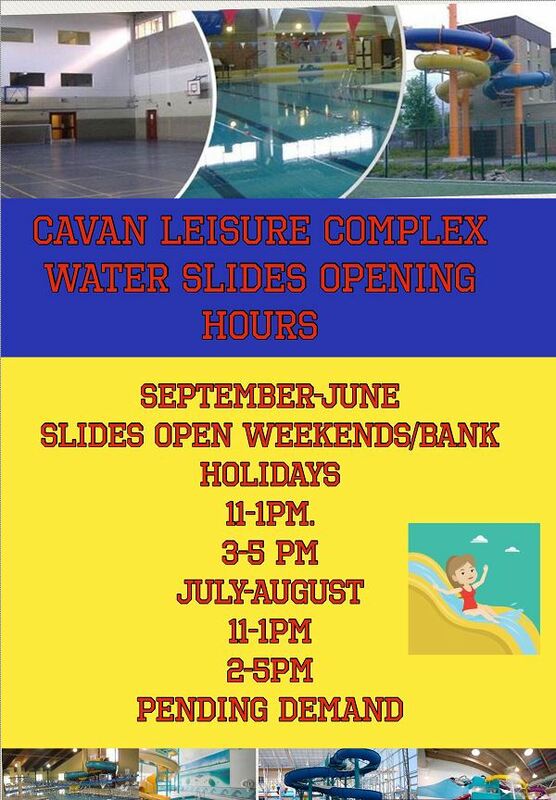 Whether you are a competitive athlete or you just want to enjoy a more active healthy lifestyle and have more energy for work or home then Cavan Leisure Centre is the place for you. We have a range of Pay As You Go and Memberships to suit everyone, so check them out. You can even download a Membership form today! Copyright © 2015 Cavan Leisure. All Rights Reserved.